How Do We Decide What to Translate? Do You Want to Translate for ICNC? Translating civil resistance literature into diverse languages is one of the most powerful ways to spread knowledge and increase the effectiveness of nonviolent movements struggling for rights, freedom, and justice. 1. be a comprehensive resource for all existing translations of civil resistance resources in the world. 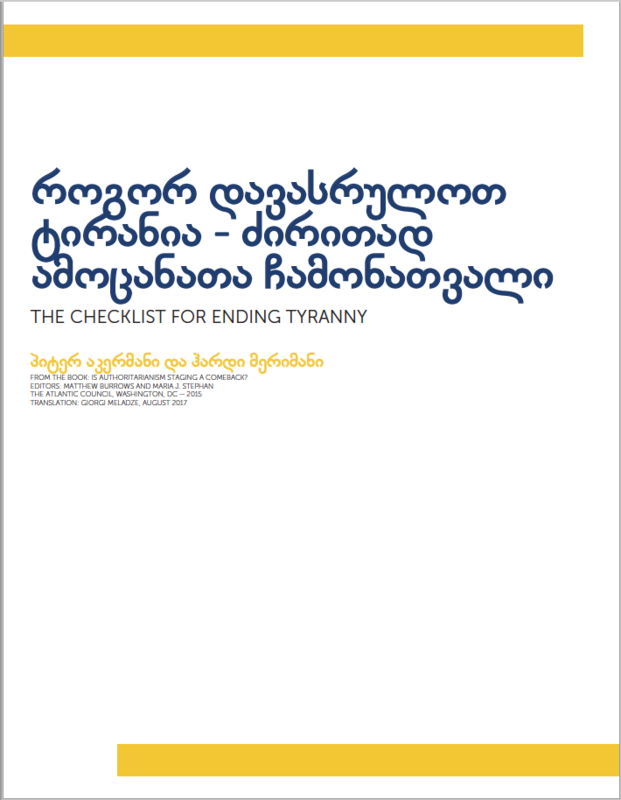 2. support new high-quality translations of civil resistance resources into multiple languages. ICNC’s online Resource Library contains a vast and growing number of civil resistance resources in 70 languages and dialects. These include translations that we’ve commissioned, as well as translated materials that originated from other organizations and movements. We strive to ensure that the translation projects we sponsor are held to extremely high quality standards. b) Particular resources to translate. • Our relationships with competent translators in given language. • Accessibility, emphasizing resources that can reach many audiences (i.e. articles and book chapters that can reach general readers) over resources that will likely be read only by a single audience (i.e. highly academic texts). If you have a specific article or resource that you would like to see translated, please complete and submit the ICNC Translation Request Form. 3. Some pre-existing knowledge of, or a strong interest in, the field of civil resistance, human rights, or other means to make social, political, or economic change. If you would like ICNC to consider you as a possible translator, you can fill out our Translator Application Form. Trying to convert words and meaning from one language to another is always a challenging process, but translating content on civil resistance can be especially challenging. Good translations require a solid understanding of the field and often entail the development of entirely new terms and definitions in a particular language, as English-language terms about civil resistance describe concepts and ideas that may have no direct equivalent in some languages. In fact, as this field emerged in the English language, scholars and activists over the last century often needed to create new terms to describe aspects of nonviolent forms of struggle. Such terms include “nonviolent action”, “nonviolent struggle”, “nonviolent conflict”, “nonviolent resistance”, “civil resistance”, “people power”, and “political defiance”. Many of these terms are closely related, and some of them can be used as synonyms, but they show just how broad and diverse the English-language terminology is to describe our field. Translators must decide which terms in their own language work best, sometimes creating new ones, as literal translations of some of the English terms are sometimes inadequate in other languages and would not be appropriate for a particular cultural, historical, political, and linguistic context. • The word “nonviolent” or “nonviolence” is often assumed to mean passive, peaceful, or based on a religious or ethical tradition. • There can be an entire technique of struggle based on nonviolent methods that can challenge even violent adversaries. This list of translated key terms is the foundation for conducting accurate translations in this field, so our preference is to standardize all key terms in a language before proceeding with any new translations in that language. Over time, we will translate our standardized list of key terms into an increasing number of languages, and we will make such translated lists publicly available on our website. As standard practice, we also have ICNC-supported translations evaluated, nearly always by an independent individual who does not know the translator. In rare cases where an ICNC-supported translation is not evaluated, we note this in the relevant listing in the ICNC Resource Library. We are always looking to improve our work. 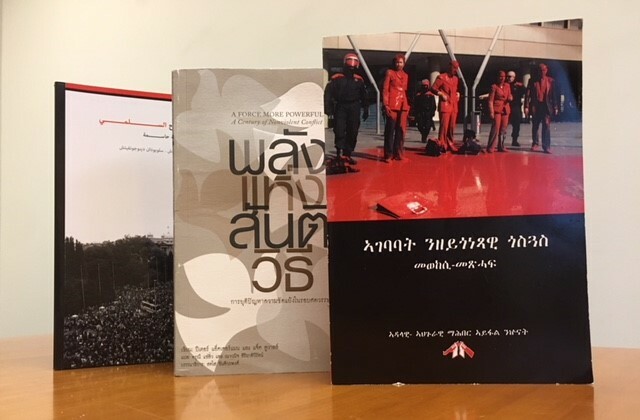 If you have feedback on a translation in our Resource Library or are aware of an existing translation that you would like us to add to our Resource Library, please contact us at icnc@nonviolent-conflict.org.